P.O. 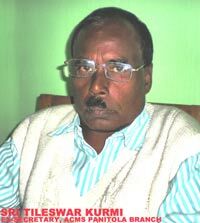 : Tinsukia, Dist: Tinsukia, 786125, ASSAM. Amongst many steps of “INTUC” leaders since 1947, Panitola Circle of ACMS is a remarkable one. 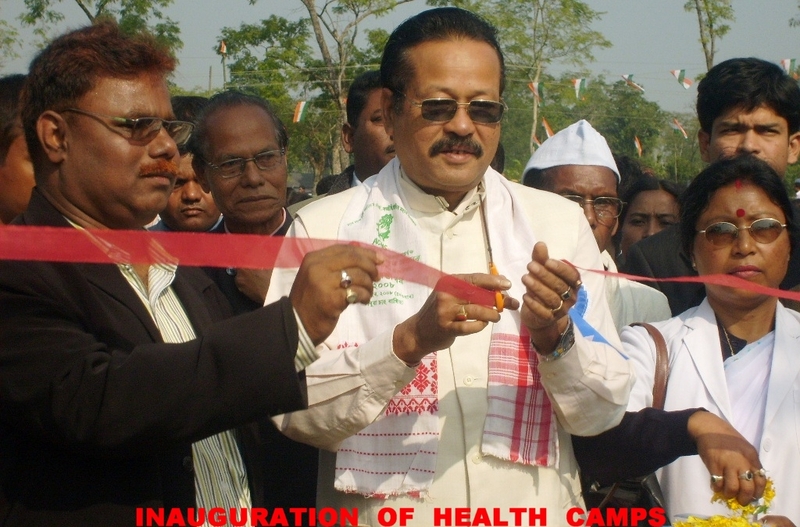 The then leaders opened office in a small rented house at Lal Bangla Road, Tinsukia to achieve their goal for betterment and to uplift the Tea Garden Workers covering the Tea Gardens under Panitola Circle numbering 28 (twenty eight) and it’s Out Division 15 (fifteen) in number. 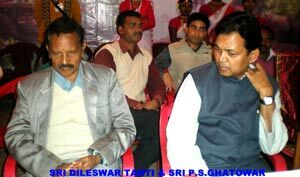 The leaders like Patras Ekka, Sunil Nag, Jadu Nath Bhuyan, Radha Nath Khemka, Baleswar Gupta, Parshuram Dutta, Rajen Phukan and many others of Tinsukia along with leaders like Kamakhya Prasad Tripathy, Robin Kakoti, Durgeswar Saikia, Jibon Ram Phukan, Dolbir Singh Lohar, Chanu Kharia, Probin Goswami, Mohendra Sharma, Sarbeswar Bordoloi and etc. started to organise the Tea Garden Workers first to aware that they were not slave, they had also right to live and to enjoy also like human being. The leaders had to struggle day and night for this year after year, ultimately they achieved success. 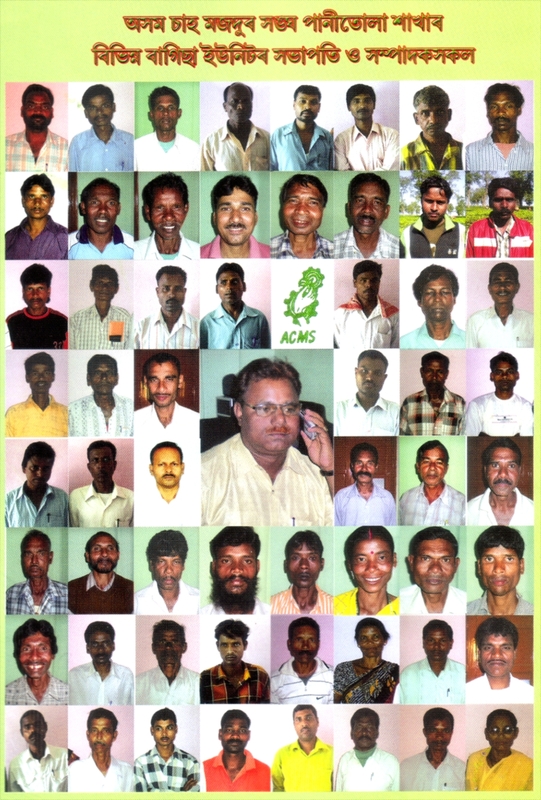 The Tea Garden Workers were organised and become member of ACMS. Then ACMS, Panitola Circle took up the grievances of the Workers concerned to settle with the Management. Time rolled on. 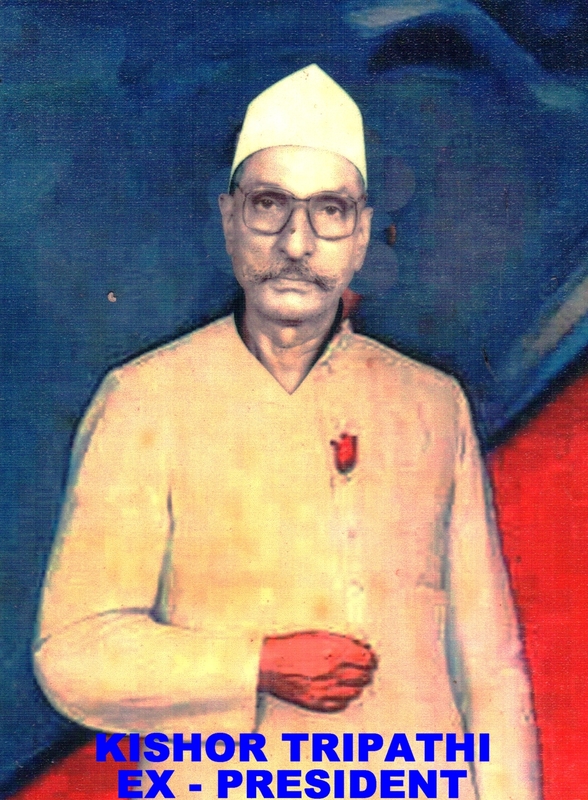 ACMS is Centralised instead of Circle in a joint meeting of INTUC and ACMS Circle on 9th August, 1958. 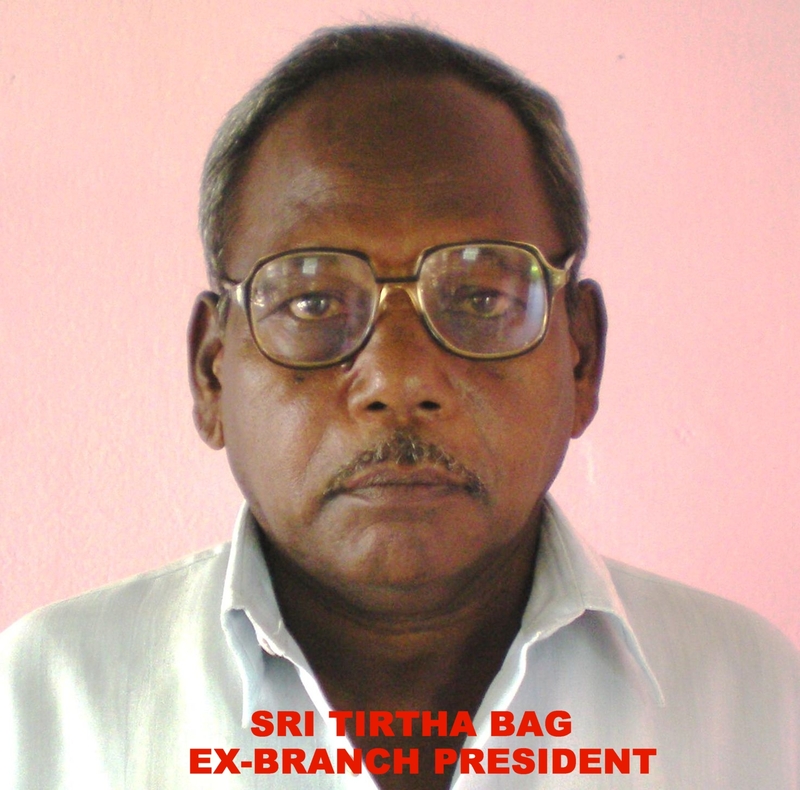 ACMS Panitola Circle become Branch of ACMS Central Office Dibrugarh under Registered No. 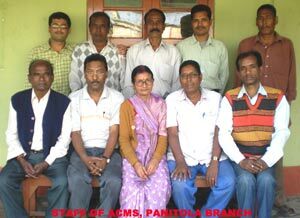 445 and is known as ACMS, Panitola Branch which an Executive Committee whose function is to manage it. Since 1958, ACMS Panitola Branch is functioning for overall development of the Tea Garden Workers persuing the Management to implement various Acts and Rules applicable to the Tea Garden Workers concerned negotiating with the Management time to time. Even Panitola Branch has tireless effort to educate the children of the Tea Garden Workers rendering financial Assistance to them, to improve also social and economic status of the Tea Garden Workers concerned, upgrading living condition in a hygienic manner. ACMS, Panitola Branch has organised Inter Garden Football Competition namely (Late Upendra Nath Sanatan & Late Sukurmoni Sahu Memorial Inter Garden Football Tournament) to develop sports spirit of the young generation. Beside this, the Tea Garden Workers under ACMS Panitola Branch are encouraged to maintain their indigenous culture and are able to participate in the State Function and Festival also. ACMS, Panitola Branch is deputing representatives belonging to Tea Garden Workers in the Seminars and Trainings sponsored by Central Board of Workers Education and other International Union out side of the State to enlighten and to aware of them in the matter relating to the Industry and the Workers. The office of ACMS, Panitola Branch is shifted from Lal Bangla Road to a rented house in the Development Office Area. 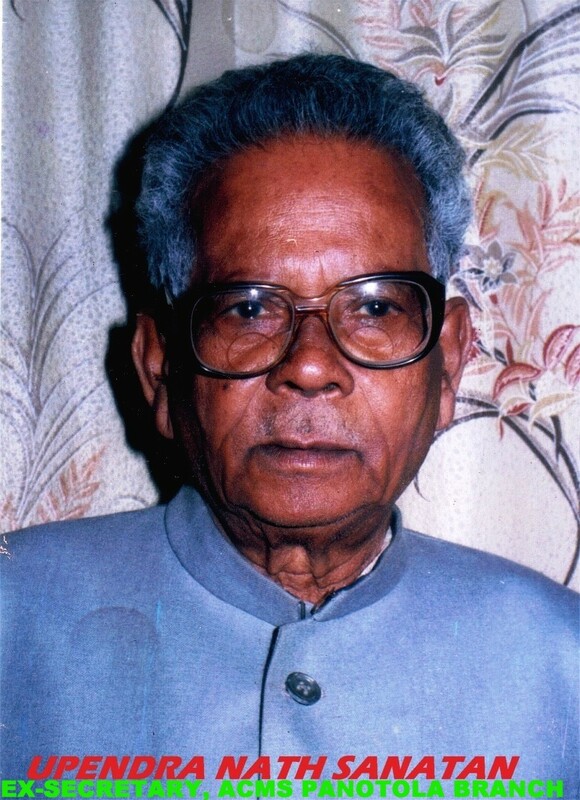 After that, the then Secretary, Sri Upendra Nath Sanatan (MLA) arranged land for ACMS, Panitola Branch and its Office Building was constructed in 1974. 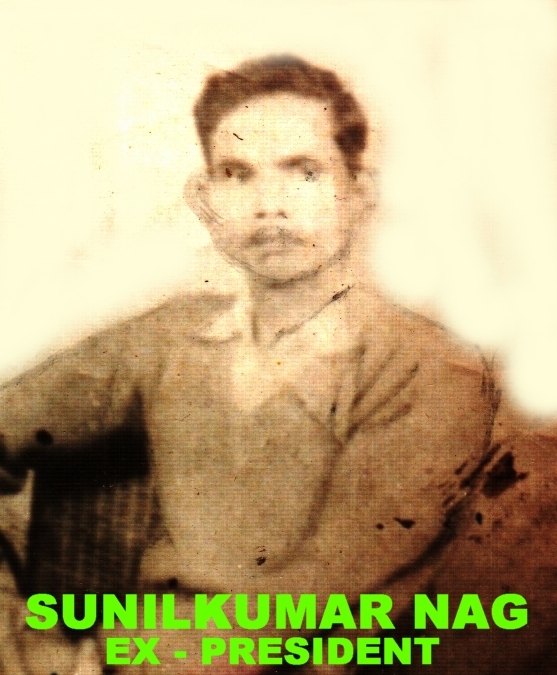 Panitola Branch has owned A MARUTI VAN during the tenure of the then Secretary, Sri Tileswar Kurmi to contact immediately with its member in interior garden. 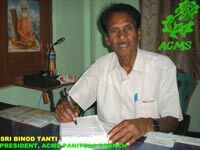 In 2005, the then Vice-President and now the Secretary of ACMS, Panitola Branch, Sri Raju Sahu (MLA) has opened a vocational Training Centre for the Tea Garden Women only to provide opportunity for self employment and in the meantime, hundred of them have already trained. 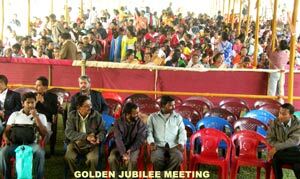 ACMS, Panitola Branch has also own land of 50 (Fifty) Bighas where also there is a big building which is hired for outside police personal on rental basis with a view to run up welfare activities for the Tea Garden Workers and hence it is named as “SEVA KENDRA” for long run economic benefit. 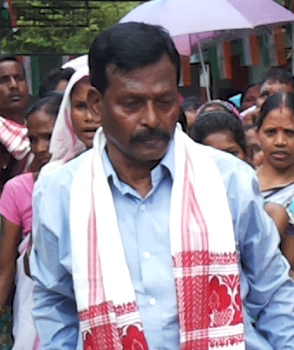 Now Sri Raju Sahu (MLA) / Secretary, ACMS, Panitola Branch extends the Office Building for better future. A most Decorative Gate is constructed by him to mark the memory of ACMS Golden Jubilee 2008. ACMS, Panitola Branch is now going to be Totally Computerised and it is already on process. ACMS, Panitola Branch has a conference Hall in Office Campus, which is adorned also with two colour T. V.
In a nutshell, ACMS, Panitola Branch has an utmost effort to achieve its goal to make the Tea Garden Workers – a developed society – economically, socially and culturally. ACMS, Panitola Branch as advised by ACMS, Central Office, has taken up the labour grievances as per Grievance Procedure. It has circle wise Agreement with the Management’s Association on cash compensation in lieu of Firewood and Cold Weather Tasks. The living and working conditioned of the workers are given top priority so that the workers concerned can live and work without difficulty. 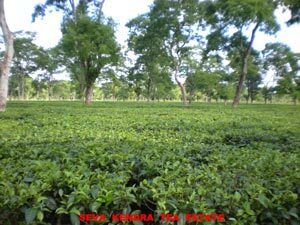 Two Tea Estates – Hukanpukuri T. E. and Chandmari T. E. were closed by the Management on the plea of financial stringency. At the initiation of ACMS, (Central Office) and this Branch Office, this two Tea Estates are re-opened and now are functioning. Beside this, this Branch Office has taken up always positive step to provides benefits and facilities as per worker’s entitlement and also out of Govt. Fund for their over all development. Own Patta Land in Subachani Road, Tinsukia Town immoveable Properties, Office Building, New construction is going on, Meeting Hall , Own Transport Car, T.V., Computers, Seva Kendra Buildings, 50 Bighas Small Tea Garden at Seva Kendra, Knitting Cutting Training Centre, Seva Kendra L.P. School, Seva Kendra Play Ground and many other thing like Printer, Type writer/duplicating machine etc. 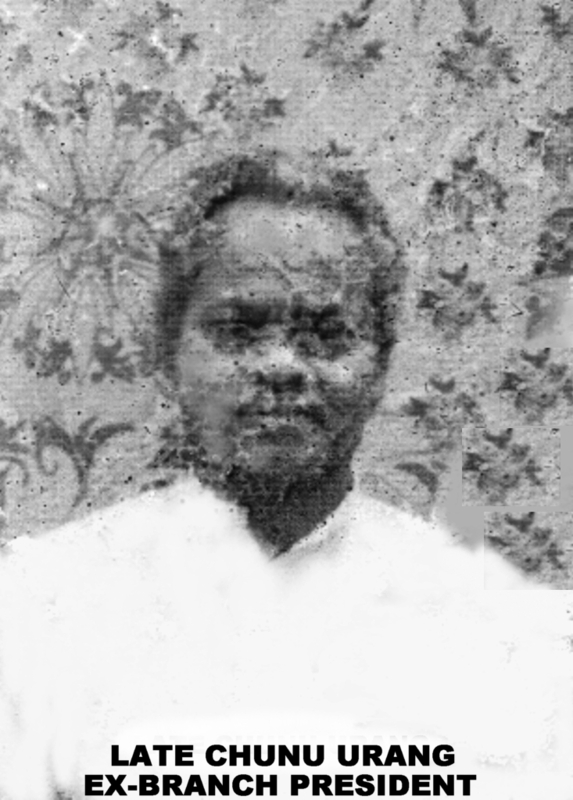 Sri Abraham Tirkey, (Sr. Organiser).